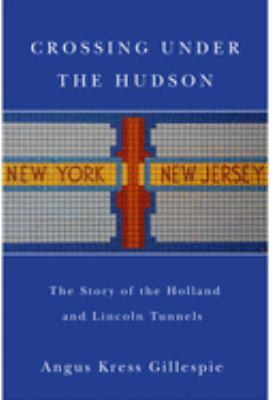 Crossing Under the Hudson takes a fresh look at the planning and construction of two key links in the transportation infrastructure of New York and New Jersey--the Holland and Lincoln Tunnels. Writing in an accessible style that incorporates historical accounts with a lively and entertaining approach, Gillespie explores these two monumental works of civil engineering and the public who embraced them. He describes and analyzes the building of the tunnels, introduces readers to the people who worked there--then and now--and places the structures into a meaningful cultural context with the music, art, literature, and motion pictures that these tunnels, engineering marvels of their day, have inspired over the years. Angus Kress Gillespie is a Fulbright professor and teaches American Studies at Rutgers University. Gillespie is also the author of Twin Towers: The Life of New York Citys Trade Center and the coauthor of Looking for America on the New Jersey Turnpike (both Rutgers University Press).